Holpfer held the lunchtime lead by one stroke from McSherry but the Irish player turned the tables in the afternoon to see the pair tied with just 18 holes to go. Lamb fired a best-of-the-tournament 69 to tie third place with Ryan, who added a two under par 71 in the afternoon. Royal County Down's Olivia Mehaffey is six shots off the pace in her bid for fourth successive win after rounds of 73 and 76. But Ireland are in a strong position to successfully defend the Nations Cup as they lead England by four shots. 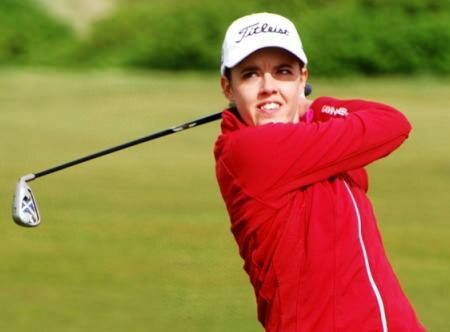 Former European Tour professional Danielle McVeigh, who has regained her amateur status, showed some of her old spark, followed an 81 with a 73 to make the cut with ease. Austria’s Isabella Holpfer broke some Irish hearts when she made a par four at the first extra hole to deny Castletroy’s Chloe Ryan and claim the Irish Women’s Open Strokeplay title at magnificent Dun Laoghaire.